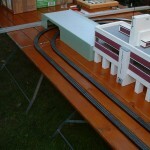 The layout in this picture is 265 x 138 cm. 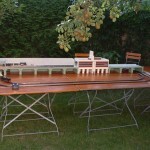 There are two track circles on the table level and a viaduct railway in the back area of the table. In the school we have bigger tables (one table is 180 x 70 cm). 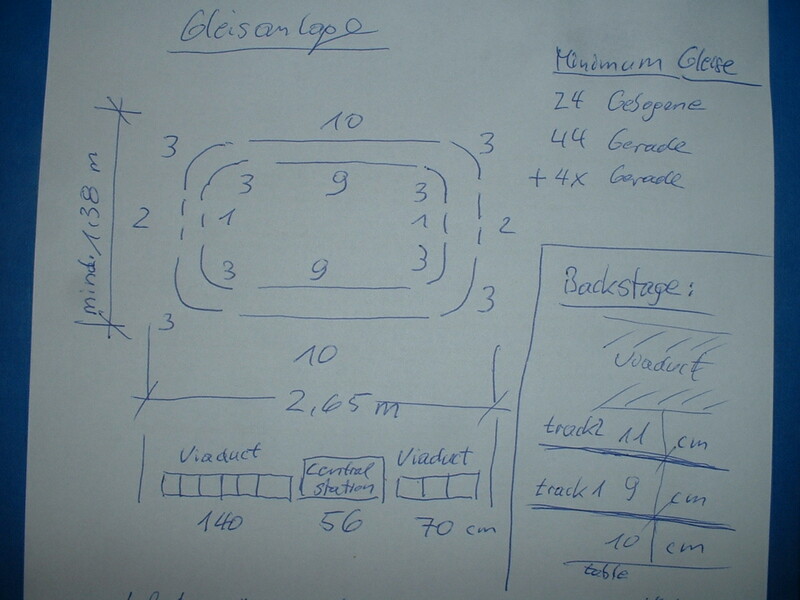 The total table size of the layout could be 265 x 180 cm. 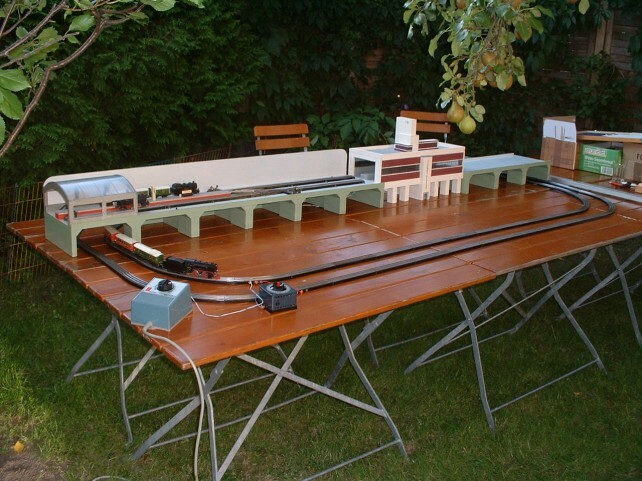 We have to keep 20-30 cm distance space in front of the table (like the layout in this picture – small children often try to fetch the trains). 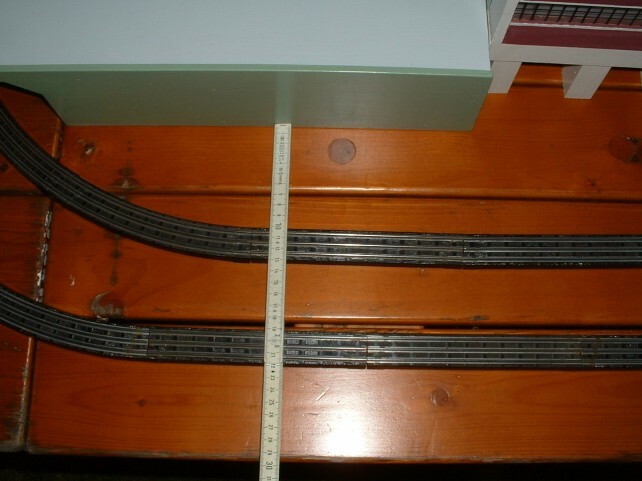 We can add one or two straight tracks on both sides of the circles. 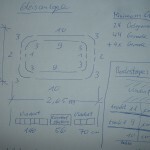 We can append more tables on the left and on the right end of the layout for exhibition items and private sales. 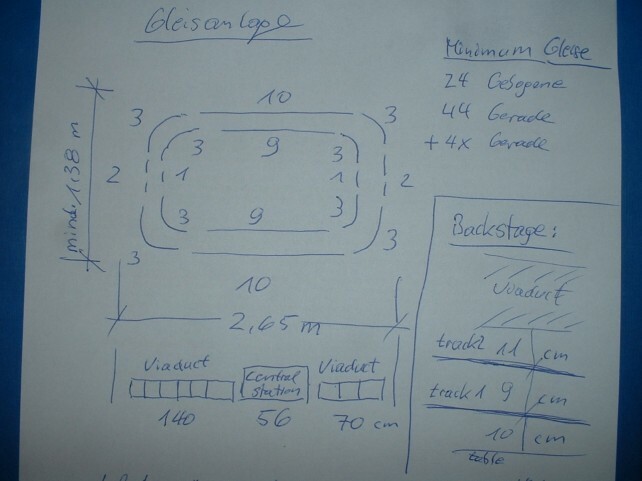 Actually we are talking about 4 tables for the layout (280 x 180 cm) and 2 additional tables (total 420 x 180 cm). 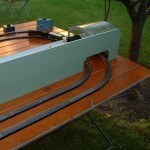 A view from the right side. 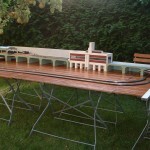 The viaduct railway has a first viaduct module with 140 cm, the Central Station with 56 cm and a second viaduct module with 70 cm. 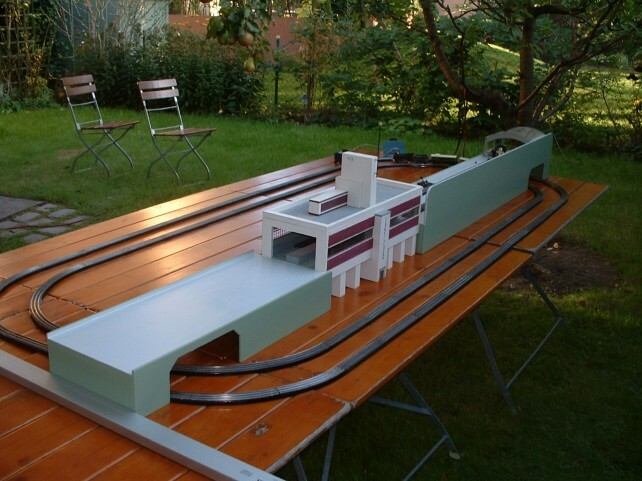 If we have enough time a third viaduct module with 70 cm + 3,2 cm will be build and inserted on the right side (= 4 straight tracks with 18,3 cm). 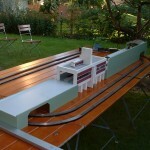 A small viaduct station is situated on the left viaduct and the right viaduct will also be completed with a small viaduct station. 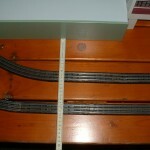 The lenght of the platforms will be 55 cm. What names should the outer stations get ? TRIX TWIN VIADUCT for one station ? 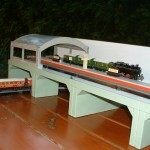 The Southern Motor Coach (Portsmouth Express) or the electric London Transport loco with suburban coaches will be appropriate trains for the viaduct service. 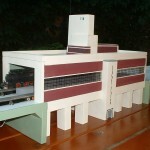 A view from the back side. 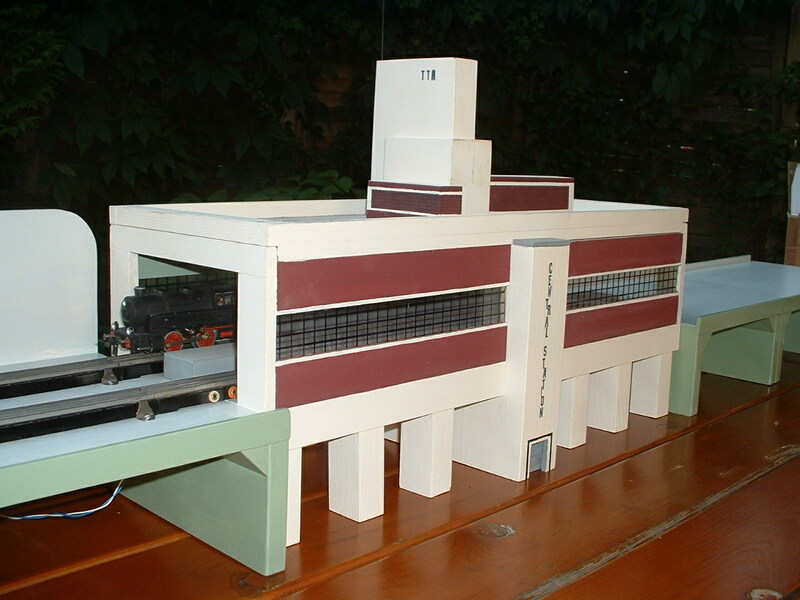 The Central Station was designed in 1936 by Ernest Twinning with a overall length of 3 feet or 92 cm but was never put into production. This replica is a little bit shorter and has 56 cm. Garry Lefevre has more information about this quite unknown station on his website TTR Buildings History in Pictures. Please roll forward to the end of the year 1936. More pictures of this prototype could be seen on Garrys other website Trix Exhibition layouts in the early years . Please roll also forward to the end of the year 1936. 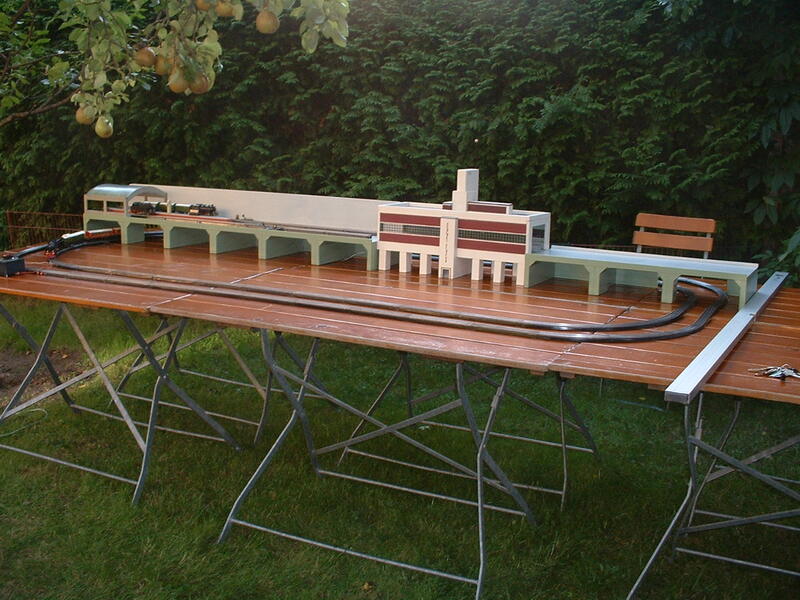 There is a very nice Bassett-Lowke exhibition layout including this Central Station prototype. 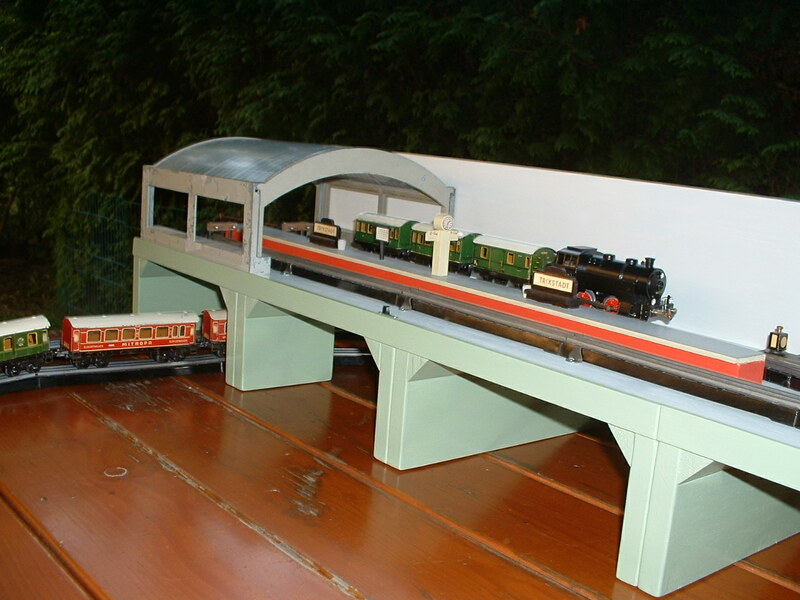 The viaduct station with TTR Manyways spans. The platform in the picture belongs to the TRIXSTADT layout and will be replaced by a new 55 cm platform. We have 30 cm on the back side of the table. This space could be used to hide trains, tools or coffee mugs. 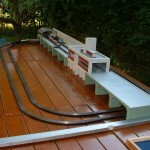 Some detaills about this layout. 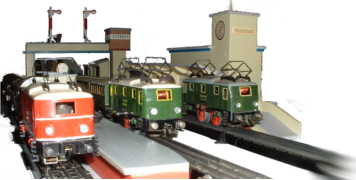 More informations about the exhibition: Historic model train exhibition 75 Years TRIX EXPRESS 2 C 1 Pacific Locomotive 12.10. – 14.10.2012 in Berlin.